Single mom Hayley Powell is barely keeping her leaking roof over her head when her boss at the Island Times gives her a new assignment—taking over the paper's food column. Hayley's not sure she has the chops—she's an office manager, not a writer, even if her friends clamor for her mouth-watering potluck dishes. But the extra income is tempting, and Hayley's chatty first column is suddenly on everyone's menu—with one exception. 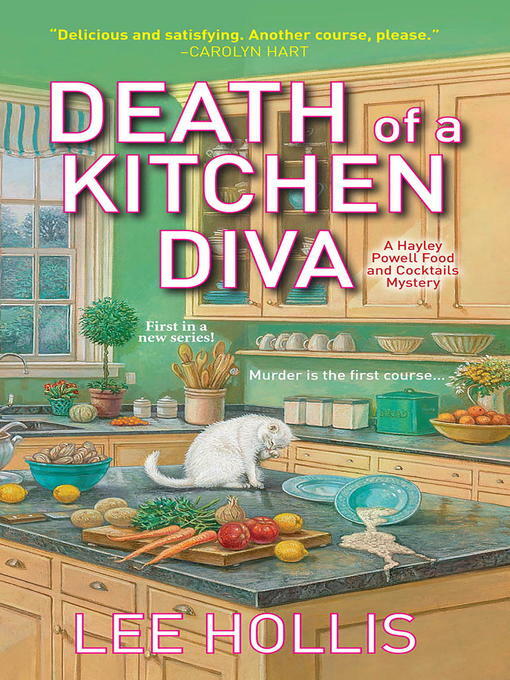 When rival food writer Karen Appelbaum is found face-down dead in a bowl of Hayley's creamy clam chowder, all signs point to Hayley. To clear her name, she'll have to enlist some help, including her BFFs, a perpetually pregnant lobster woman, and a glamorous real estate agent. As she whips up a list of suspects, Hayley discovers a juicy secret about the victim—and finds herself in a dangerous mix with a cold-blooded killer. More Mouth-Watering Praise For Lee Hollis And Hayley Powell!